The so-called green deal, a scheme established by the UK Government to improve energy efficiency in homes throughout the country, is destined for failure according to the Committee on Climate Change (CCC). Intended to improve the energy efficiency of 14 million homes in England and Wales, the green deal represents the means by which the coalition can honour its pledge to become the ‘greenest ever’ government. The CCC, however, believes the scheme will only be capable of reaching between two and three million homes – just 14-21 per cent of expectations. As with so many political promises, the green deal appears to have limited mileage – far less than promised by the UK’s greenest ever government, which presumably believes that extended use of the word ‘green’ to describe policy is sufficient to hoodwink millions of downtrodden voters. Scheduled to commence in October 2012, the green deal should enable homeowners to pay for energy efficiency improvements in the home – such as the installation of cavity wall insulation – using specialist loans, repayments for which would cost less than the energy bill savings generated by the improvements. 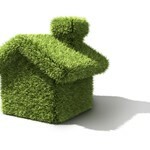 Whilst appearing to be a good idea in theory, the green deal serves to remove energy suppliers’ legal obligation to help customers improve energy efficiency in the home. David Kennedy, the Chief Executive of the CCC, said: “The proposal is to take away that obligation and say, ‘let’s leave it to the market’. We think there is a significant risk in leaving it to the market, as that has never worked anywhere in the world and is unlikely to happen in the UK. We are talking about the transformation of the entire building stock of this country”. Andrew Warren, of the Association for the Conservation of Energy, was pessimistic about the UK’s chances of improving domestic energy efficiency on a large scale following the predictions made by the CCC. Mr Warren said: “There is going to be a complete collapse in the insulation market. We will see an 80 per cent drop in cavity walls being filled”. Warren further criticised the Government after it released a national carbon budget plan that claims all cavity walls and lofts in the UK will be insulated by 2022. You can leave it up to the market but uptake will depend on the interest rates being low on retrofits. Anything above 5% and uptake would be minimal so help is needed to fund the scheme or it is doomed to failure. The Government already knows this but is ignoring it’s own research.